Another, longer mobivideo: https://vimeo.com/140419913 . Please spread. Thanks a lot! Sept. 24 2015 The Court of Appeal in Tamatave ordered on September 23, the release of Armand Marozafy. Armand left prison far too late. Too late, because he sat five months instead of 4 to which he was sentenced. Too late, mainly because he had no business being in prison! 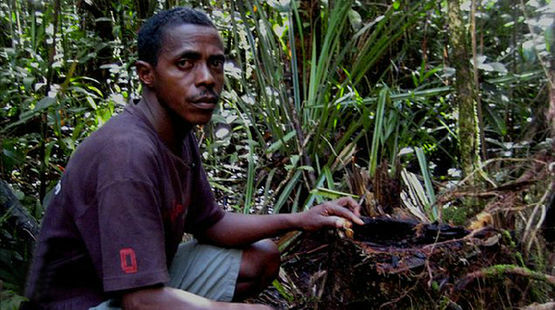 The mobilization for the tropical forests of Madagascar continues. The Greens celebrate Hannelore Kraft as the gravedigger of lignite, but RWE remains the gravedigger of the Rhineland. 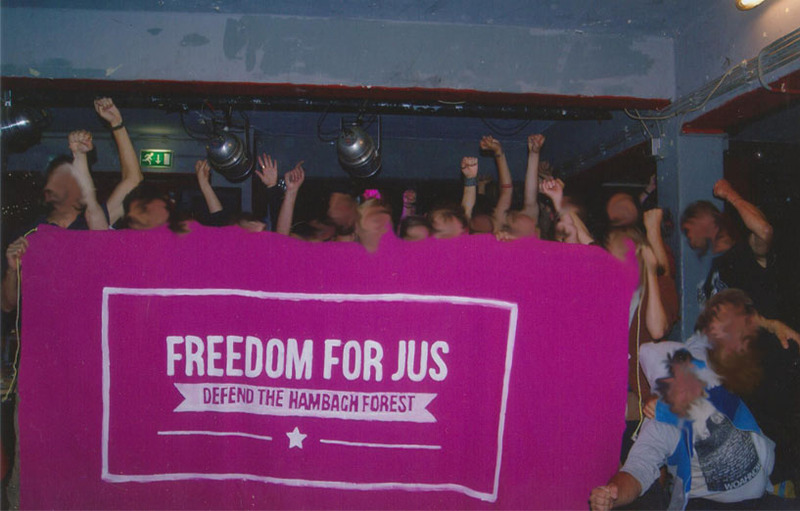 Implemented are only the slack demands of the carbon chain of Greenpeace , TG and B.U.N.D.. According to the Energy Watch Group, the International Energy Agency (IEA) publishes since years wrong data and projections on the potential of renewable enegies (Frankfurter Rundschau). Although wind power and photovoltaics have grown exponentially in recent decades, the IEA continues to assume a linear growth of these technologies, and therefore a constant annual installation of new systems. So they predict for the renewable energies only a 14 percent share of the global energy supply by 2030. In fact, according to critics, 60 percent are rather realistic when applying the average growth rates of the past 20 years. In addition, Greenpeace assumes 100% until 2050. For years, a handful of tropical timber traders are plundering unscrupulous the rainforests of Madagascar, the EIA environmental organization reports. 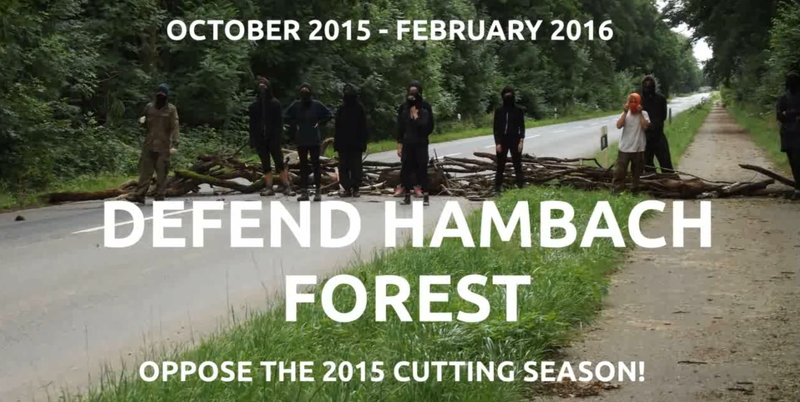 Even in face of national parks that are declared World Heritage by UNESCO, the loggers do not stop. The Unis’tot’en ​​(C’ihlts’ehkhyu / Big Frog Clan) in Canada defend their country against Enbridge, Pacific Trails Pipeline (Chevron), Tar Sands Gigaproject and LNG. “Wet’suwet’en territory, which extends from Burns Lake to the Coastal Mountains, is sovereign territory which has never been ceded to the colonial Canadian state; the Wet’suwet’en are not under treaty with the Canadian government. Their territory, therefore, is and always will be free, and belongs to the Wet’suwet’en people alone.” They just defend their own country. 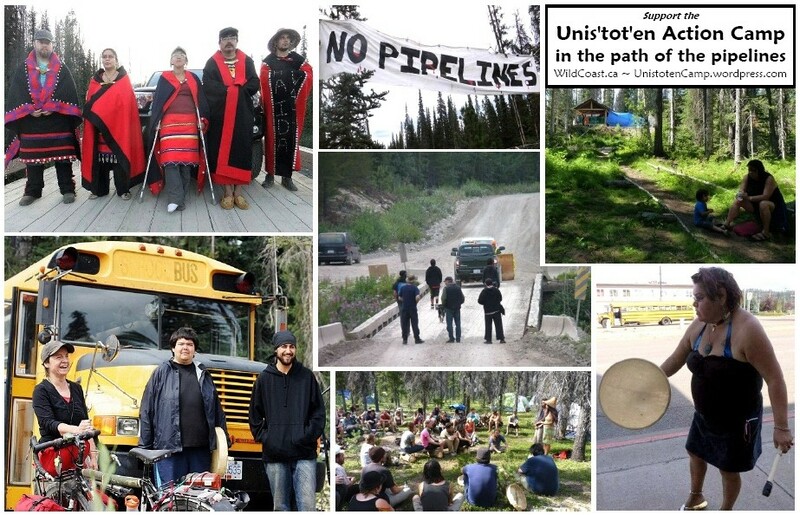 Since 2009, the Unist’ot’en clan of the Wet’suwet’en ​​hold a permanent community in the way of three approved projects: Northern Gateway (6.1 billion $) of Enbridge, Pacific Trail Pipeline (1.15 billion $) of Chevron and Coastal GasLink (3.7 billion $) of Trans Canada. These pipeline projects were planned through the territory of the Wet’suwet’en. Since the early 19th century the Canadian government tries to expell the Indigenous, who defend themselves by all possible means against it.